The Carolina Panthers are back and ready to make a statement in the NFC. Led by a strong defense and a young talented offense, the Panthers have their sights set on the NFC South title and bringing a Super Bowl to Carolina. Division rivals, the Atlanta Falcons and the New Orleans Saints will look to halt the Panthers’ aspirations. Grab your Carolina Panthers tickets and head down to Bank of America Stadium and be a part of your team's home field advantage. After a disappointing 2016 campaign, the Panthers’ star quarterback Cam Newton came back and helped his team finished the regular season 11-5. The Panthers faced the New Orleans Saints in the NFC Wild Card Playoffs but fell to the Saints 31-26. Could 2018-19 could be a year for the Panthers to make it further in the playoffs and compete for a Super Bowl title? The fourth youngest team in the NFL, the Carolina Panthers has had a rollercoaster ride till now. After their formation in 1995, the team enjoyed a rapid climb to the top that was followed by an even steeper fall. An All-time Best First Season – The Panthers debut was a notable one as they finished the season 7-9, which is an all-time best for any new NFL team. Their winning form continued in 1996 as the team advanced all the way to the NFC Championship Game. They eventually lost to Super Bowl champions, the Green Bay Packers. The Panthers clinched their first NFC West Division title that year. The 2003 Carolina Panthers – It was a magical season for the Panthers and finally after making a strong push for the championship, they reached the Super Bowl XXXVIII. They lost to the New England Patriots 29-32 but not before putting up a great fight. It was an overall stellar season which earned them the nickname of Cardiac Cats as they would force overtime and find a way to come out on top. 2015 Super Bowl Return – Once again the Panthers had to face defeat, this time at the hands of the Denver Broncos. The loss came with a wide margin of 10-24. For the Panthers, the road to the Super Bowl was an extraordinary one. It includes the stunning front-flipping from Cam Newton in a game against the Houston Texans. In the third quarter with the game tied 10-10, Newton in an attempt to score touchdown jumped and when he was hit, he flipped and managed to land in the end zone. The touchdown became the highlight of the 2015 season. The Panthers share heated rivalries with the Tampa Bay Buccaneers and the Atlanta Falcons. The Panthers – Tampa Bay Buccaneers Rivalry – The rivalry seeds were sown in 2003 when the teams started playing each other twice after being moved to the South Division. Their games have often gotten physical, to the extent that players have suffered serious injuries. Falcons–Panthers Rivalry – It started in 1995, surprisingly when the Panthers played their first ever game. In a thriller overtime, the Falcons defeated the newbie 23-20 and it left the team Carolina with a bitter taste. Playing in the same division, their encounters have always been close ones, marked with extreme intensity and spectacular performances. The early Panthers played some of the best football on the shoulders of Kevin Greene, Sam Mills and Lamar Lathon. They formed a lethal line backing core that weakened the opposition’s offense and helped the team reach the top. Steve Smith, Julius Peppers and Jake Delhomme led the Panthers to their first Super Bowl in 2003. Smith and Mushin Muhammad are considered the best receiving duo in Panthers’ history. In the present era Cam Newton proudly wears the Panthers blue and black jersey. In a very short time Newton has become one of the best quarterbacks in the NFL and was given the 2016 Best NFL Player ESPY Award. The roars of passionate Panthers fans fill the Bank of America Stadium every time the team plays its home game. Unique elements such as massive arches and towers at the entrance provide the fans with beautiful mosaics to go along their game day experiences. Currently there are six open-air sections on the upper deck called the “fan plazas” that allow the fans to take a break from the action and take in the views of Charlotte. Our process for purchasing cheap Carolina Panthers tickets is simple and fast. There are so many online ticketing sites, that it can be hard for customers to find the right place to buy Carolina Panthers tickets at the cheapest price. At ScoreBig we think of our customers first and foremost. We offer daily deals for Carolina Panthers events, so our customers can get the best seats for the best prices. ScoreBig will always go above and beyond to offer the cheapest Carolina Panthers tickets on the market. The Carolina Panthers schedule above, displays all available events for 2019 and 2020. Once you find the event that you would like to go to, click the red “Get Tickets” button. It is located on the right-hand side of the event listing, it will take you to an Carolina Panthers event ticket page. ScoreBig's event ticket page will display all available Carolina Panthers tickets for that event. On the event ticket page to help with your search for the right Carolina Panthers tickets, use the filters at the top to select quantity, price range, and more. There is also an interactive seating chart so you can pick where you want to sit. When you are ready to buy a ticket, click on the listing, and you will be directed to ScoreBig's checkout page. Upon completion of the information fields, your order will be processed and your Carolina Panthers tickets will be delivered via email, mail, or to your mobile device. What makes ScoreBig’s site stand out from the rest? We are constantly analyzing our competitors to improve our site, service, and prices. ScoreBig.com employees strive to offer the best process and experience to buy cheap Carolina Panthers tickets. Our goal is to get you the best seats to Carolina Panthers events. We offer daily discounts on our site and for special promotions check out our newsletter. If there are no Carolina Panthers events currently available, you can use our search feature at the top of the page to see a list of all popular events going on near you. No matter your price point, we have all the best deals and discounts on Carolina Panthers tickets. For more information on prices of Carolina Panthers tickets and the schedule for Carolina Panthers, check out our listings above. The last thing you want to find out is when the Carolina Panthers event you wanted to go to is sold-out. Don’t worry in many cases ScoreBig has affordable tickets to sold out events. We sell tickets from GA all the way to premium seating and parking. Skip the scalpers in the parking lot and get your tickets online from top Carolina Panthers ticket brokers. We get you in all events, buy your Carolina Panthers tickets here from a brand that many trust and rely on for all their ticketing needs. ScoreBig offers a 100% money-back guarantee. If you have been in search of cheap tickets for Carolina Panthers, ScoreBig by far is the best option. That’s why ScoreBig has more loyal customers than any other ticketing site. 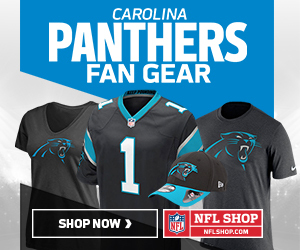 Shop at ScoreBig for safe and secure Carolina Panthers event tickets.